Having your vehicle damaged by someone else in an accident that was not your fault is a major pain in the neck. But then on top of that you have the hassle and stress of having the damage repaired and paid for. You can find yourself stuck between your repair company and a third party’s insurance company (if they were properly insured.) You are faced with important choices and decisions about things that you don’t really know anything about that have to be made quickly and often on your own. And if you are fortunate enough that the other person was insured and admits responsibility for the accident, you are dealing with their insurance company directly. They know the system inside out and seem to hold all of the cards. How do you know what to do and how can you be sure that you get what your properly entitled to? 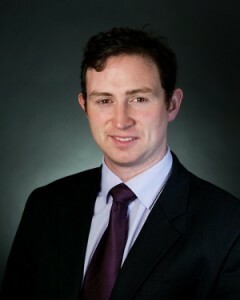 Liam Crowley has written a really practical plain English guide to help you find your way through this maze. In this guide Liam explains for you how the system works and exactly what you need to do at each stage in the process. He tells you what you are entitled to and how you need to go about getting it. 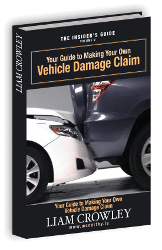 If your vehicle has been damaged in an accident that was not your fault, before you go any further you should get your free copy of Your Guide to Making Your Own Vehicle Damage Claim. Get your free copy by simply leaving your details below and you will be able to access your copy of the guide instantly.